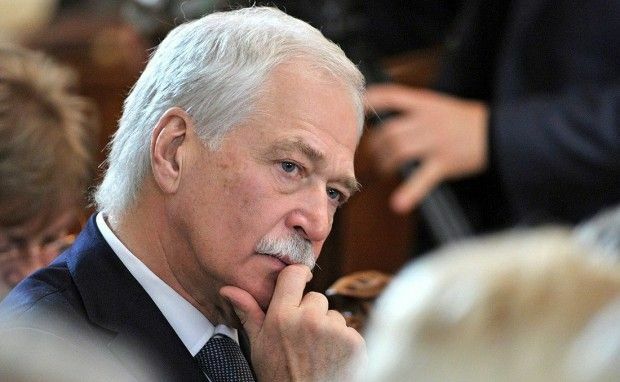 The representative of the Russian Federation to the Tripartite Liaison Group, Boris Gryzlov, has brought to Kyiv Vladimir Putin's offer regarding the end of the war in Donbas, which, however, did not leave Kyiv satisfied, according to the Apostrophe online medium citing its source in one of the international monitoring missions to Ukraine. According to the source, one of the central issues of the talks was the holding of elections in the certain areas of Donetsk and Luhansk regions. Gryzlov allegedly said that the Russian side does not care about the kind of an electoral system to be used, who will control the elections and who the actors will be. For Vladimir Putin, it is important that Ukraine follow such sequence: Ukrainian President Petro Poroshenko signs a law on amnesty for militants, and then, no later than March 2016, he holds the elections under the Ukrainian legislation and completes the constitutional reform, which will provide for the special status of Donbas. Only after these provisions are fulfilled, will Ukraine regain full control over its state border with Russia in Donbas. Read alsoExpert highlights Putin’s manipulations over Minsk dealThe Kremlin seeks Donbas elections so that it can initiate the talks with the European Union on the lifting of sanctions. At the same time, the Ukrainian side was not satisfied with Vladimir Putin’s offer. According to the source, Kyiv insists on the following sequence: Petro Poroshenko is ready to sign an amnesty law, adopt and even agree with separatists the new law on elections in Donbas, complete the constitutional reform under international control. Read alsoBezsmertniy: Putin's statement on borders in Donbas is absurd and legally futileHowever, the elections in the certain areas of Donetsk and Luhansk regions should not precede but follow Ukraine’s regaining full control over the state border. As UNIAN reported earlier, Russia’s Representative to the Contact Group on the settlement of the Donbas crisis, ex-Duma Speaker Boris Gryzlov, arrived in Kyiv on January 11. Read alsoRussia’s Gryzlov visits Kyiv at Poroshenko’s personal invitation - mediaGryzlov was appointed as plenipotentiary representative of Russia to the Tripartite Liaison Group on December 26, 2015. Russia was first represented in the Contact Group by Mikhail Zurabov. Russian President Vladimir Putin replaced him in April with Azamat Kulmuhametov.